Designed for small conference rooms and executive offices, the compact Polycom SoundStation IP 5000 delivers efficiency and effectiveness to any conversation. The device features Polycom’s famed HD Voice technology, a 360-degree microphone and broad SIP interoperability. Sick to death of missing key information and having to ask others to repeat themselves (daunting isn’t it? 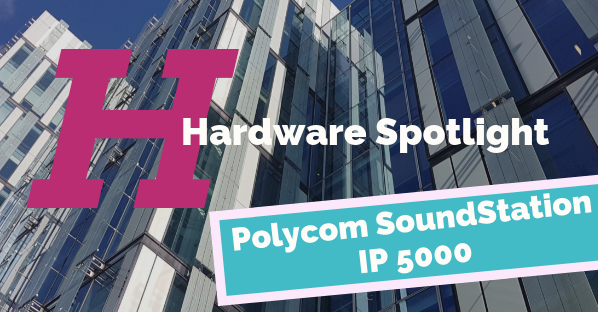 ), with the Polycom SoundStation IP 5000 conference calls flow easier thanks to the patented Polycom Acoustic Clarity technology that makes sure each word spoken can be heard. The IP 5000 resists pesky interference from mobile phones and other wireless devices while delivering clear voice conferencing without distractions. The microphone picks up voice up 2-meters away designed for executive offices and a small conference room, with up to six participants. 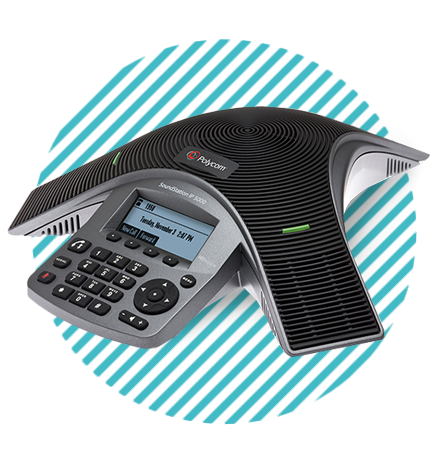 The IP 5000 is one of the most feature-rich IP conference phones available, with advanced call handling, security, and provisioning features. The high-resolution display enables robust call status, on-board configurability, and multi-language support. The device comes with Integrated Power over Ethernet (PoE) for easy installation. An optional AC Power Kit is also available.